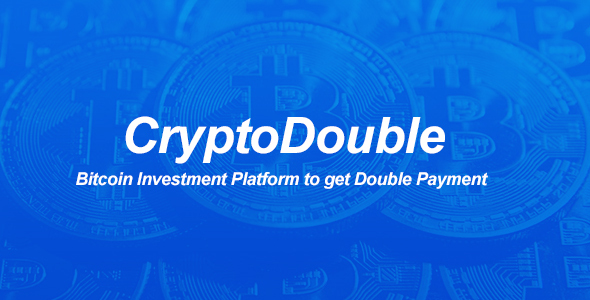 “CryptoDouble” is a complete solution for an online bitcoin investment Platform. Anyone can register and inverst there and can get double profit. People can collect bitcoin from others by this system. If you want to collect bitcoin from investors and want to do other business from the invested bitcoin then this system is perfect for you. System owners will be profitable because they can use these bitcoin for any business purpose and can make huge profit. Investors will be also very interested to invest because they will get double payment by investing here. Investors also can earn by affilate system. Admin can set affiliate percentage from admin panel. Everything is dynamic and can setup from admin panel. This CMS Includes almost everything you need to make an online bitcoin investment Platform and fully responsive for any device. Admin can manage complete website without single line of coding knowledge. It has strong SQL injection protection system which will keep away this system from hackers. Customer Ban or Remove System. Withdraw Request Accept or Reject Option.